It is hard to imagine a situation where Fatima Blush would consider a selection of items for her handbag and decide upon a pair of night vision binoculars. Nevertheless, she is as mad as a hatter, so we will leave it at that as an explanation. They even have a helpful coding guide for the use of: +5 magnification, +3 Brightness, Scan, Track, Hold – They really are cutting edge. And certainly sufficient to pick 007 out, hiding behind a wall. If you want a security camera that works all day and night, under any weather and light conditions. 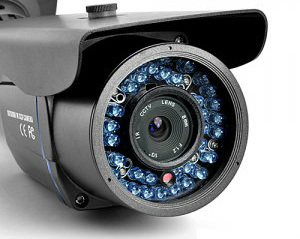 The Night Vision Waterproof CCTV Video Security Camera is the right gadget for the job. This waterproof CCTV facility has sufficient power and durability - it is constructed within an aircraft grade aluminium shell. So, it doesn't matter if your security requirements are in a dodgy neighbourhood it should be strong enough for the job. The 42 LED lights provide the automatic infra-red night vision will enable you to record in all conditions, 24 hours a day. 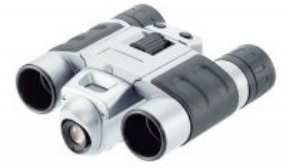 Of even more use than Fatima Blush's feeble night vision binoculars, these great binoculars include a built-in digital camera. It also allows for the recording of video. This will enable you to spy on spies, but also capture pictures of wildlife, sporting events, festivals and concerts.